While options abound on the Eastern Shore, here are some of our best suggestions for how to spend an adventure-loaded weekend on the Maryland coast. Kick off your weekend on the coast along the water—not at the ocean, but on the picturesque Pocomoke, one of just nine officially designated National Scenic and Wild Rivers in the state of Maryland. Stretch your legs with a trail run or hike on the Milburn Landing Trail, a 3.7-mile woodland loop meandering through stands of loblolly pine and bald-cypress in the 17,676-acre Pocomoke State Forest. Or maybe you want to spend as much time as possible on the water. In that case, the Shad Landing area of the Pocomoke River State Park provides access to the Bogiron Water Trail, offering about 15 miles of paddling along waterways once explored by Captain John Smith. 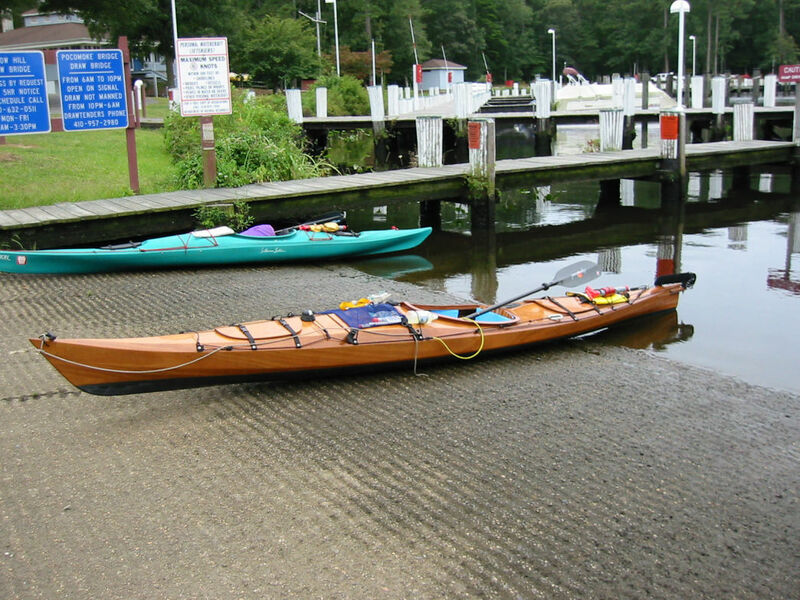 The lengthy water trail gives paddlers the option to explore 10 different routes on the Pocomoke River and Nassawango Creek—showcasing a landscape reclaimed by the natural world, highlighted by engaging fauna, including 172 different birds, and primordial longnose and alligator gars occupying the shadowy depths beneath the surface. There are plenty of places to gnosh on the shore, but the newly minted Culture is a unique refueling stop. The restaurant celebrates a different culinary culture every year, switching up the menu’s muse annually on Earth Day. Culture’s current gastronomic inspiration is Mayan cuisine, creating plates inspired by foods from Mexico, Belize, and Guatemala. With dishes like rotisserie chicken, pork al pastor tostadas, and chorizo and potato tacos, you’ll want to try it before the next change in April. The fast-casual eatery also offers diners the option to order in advance online and have meals prepared to go, accommodating eaters with outdoor adventure-loaded itineraries. Already have a hankering for a famous Maryland crab cake? Steal away to Sneaky Pete’s at Hooper’s Crabhouse to enjoy your butter-slathered crustaceans dockside, with stellar views of the water. Sneaky Pete’s closes in the off-season, so check ahead of time to make sure it’s open. 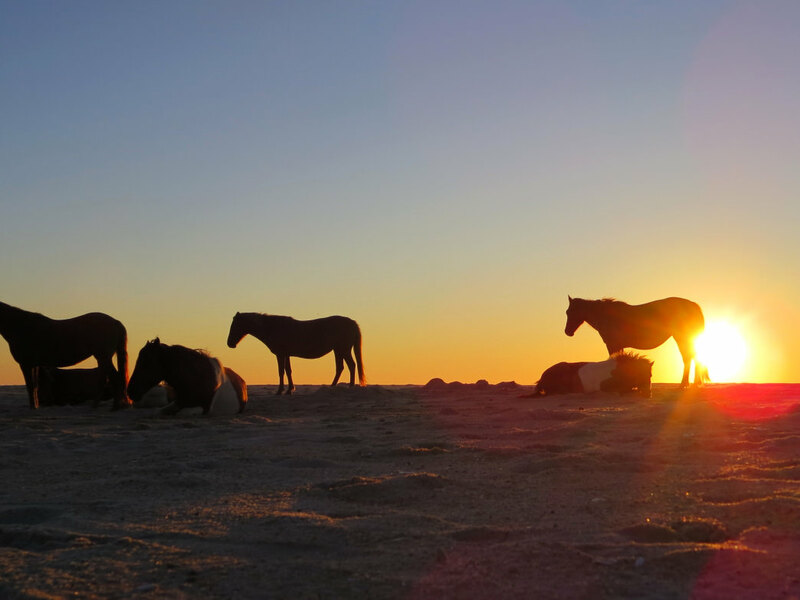 Spend the late afternoon seeking out the famed wild horses of the Assateague Island National Shore. The origin of the equines roaming the barrier island is still enigmatic, but the animals are actually believed to be feral, not wild. 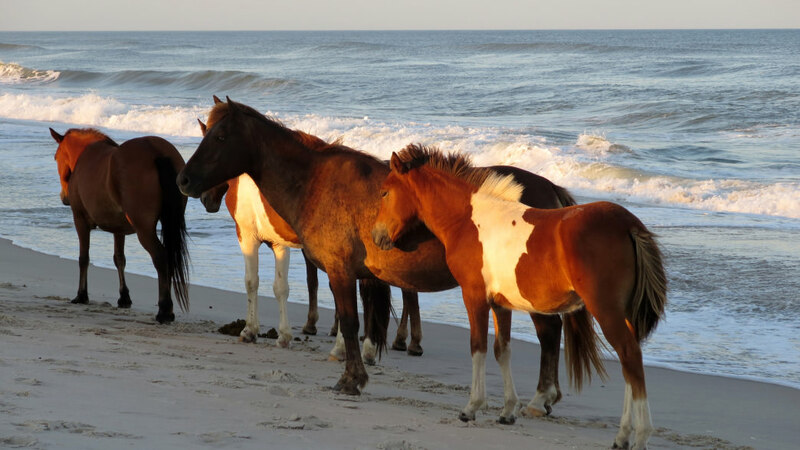 According to local lore, the horses descended from the survivors of a shipwreck off the coast of Virginia, while another theory suggests the equines hail from animals stashed on the barrier island in the 17th century by mainland locals looking to dodge livestock-related taxes. There is no shortage of craft beer on the Maryland coast—in Ocean City the Assawoman Bay Brewing Company serves brews bayside, the oceanfront Backshore Brewing Company provides a low-key watering hole, and Fin City Brewing, the town’s oldest brewery, pours a wide selection of locally-inspired offerings (try the Backfin Blue Crab stout!). In Berlin, the Burley Oak Brewing Company crafts small-batch beers with a focus on sustainability and locally-sourced ingredients, creating inspired fusions like the Plum Sour Ale. 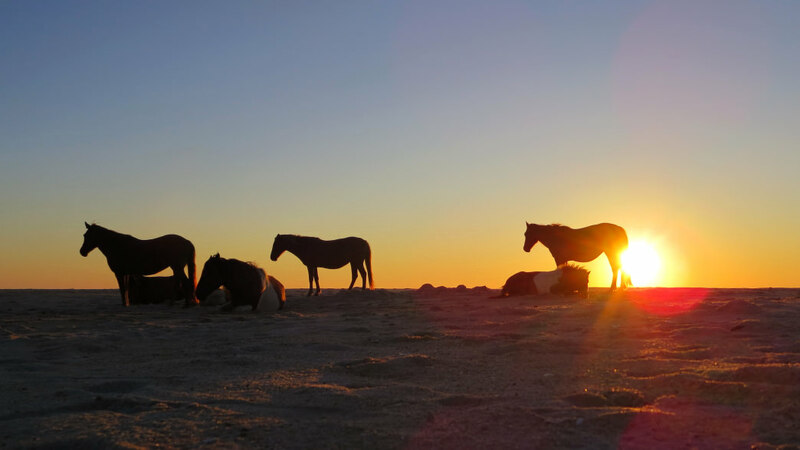 For rustic waterfront digs, the Assateague Island National Seashore has six different hike or paddle-in backcountry sites, and also offers drive-in campsites on both the Atlantic and the Chincoteague Bay. 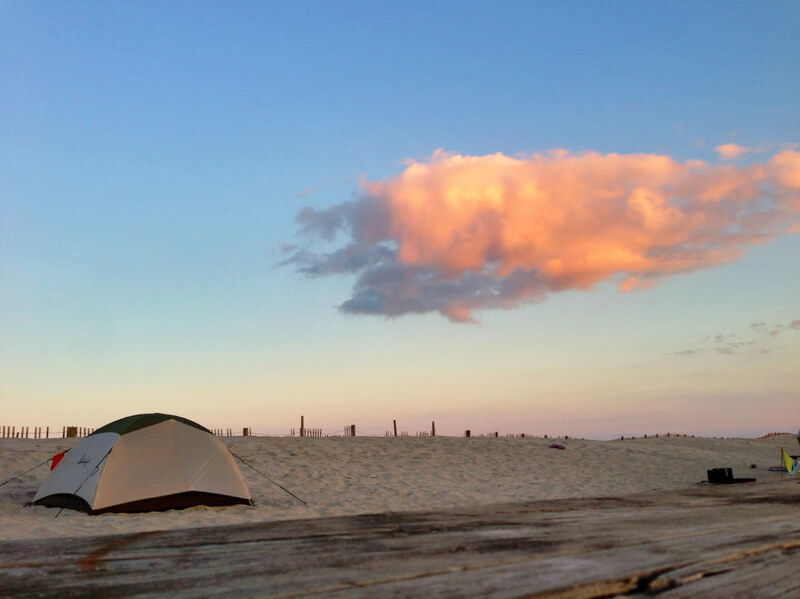 Assateague State Park, bordering the national seashore, has more than 300 drive-in campsites, many adjacent to the ocean. At the Pocomoke River State Park, you can grab a primitive campsite or a cozy mini-cabin in the Milburn or Shad Landing areas (a number of the mini-cabins are also pet-friendly). For a more civilized waterfront stay, the River House Inn in Snow Hill offers guests the choice of a tasteful room in the main house or a stay in the cozy riverside cottages scattered over the property (including some pet friendly options). Best of all, you can launch your kayak into the Pocomoke River right from the grassy lawn of the bed & breakfast. In Berlin, the historic Atlantic Hotel is loaded with Victorian charm. Built in 1895, the hotel is strategically located in the heart of the 18th century town, and features fine dining in-house at the Drummer’s Café. According to locals, the place is also haunted, and is even featured as one of the stops for Chesapeake Ghost Tours. If you want beach views without having to camp on the sand, head for the aptly named Inn on the Ocean in Ocean City. The cozy bed & breakfast is directly on the boardwalk, and the wraparound porch is the ideal place to unplug from technology and watch the tide roll in. Kick off your second day with another hike, or hop on two wheels and explore the Pocomoke State Forest. The area is threaded with singletrack—including the Hudson-Tarr Mountain Bike Trail, an 8.5-mile trail network overlaying the swath of forest flanking the Shad Landing Area of the Pocomoke River State Park (also accessible from parking areas along Route 113 and Blades Road). If you’ve had your fill of crab cakes this weekend, head to Rayne’s Reef in the historic town of Berlin for the kind of spread only a quintessential diner can provide. The eatery famously appeared in the film Runaway Bride (but was dubbed the Falcon Diner), and serves the standard, deliciously artery-clogging diner fare—pancakes, BLTs, burgers—and nostalgic items like egg creams, a nod to the eatery’s days as a soda fountain. Take your time exploring the Pocomoke River. George Schnakenberg, Jr. Spend some time exploring the E.A. Vaughn Wildlife Management Area courtesy of one of the Eastern Shore’s more secluded paddling routes—the E.A. Vaughn Kayak and Canoe Trail. The area was once a pheasant game farm and is now a hub for waterfowl. It’s also called a "greentree reservoir," with an abundance of frogs, turtles, and snakes. 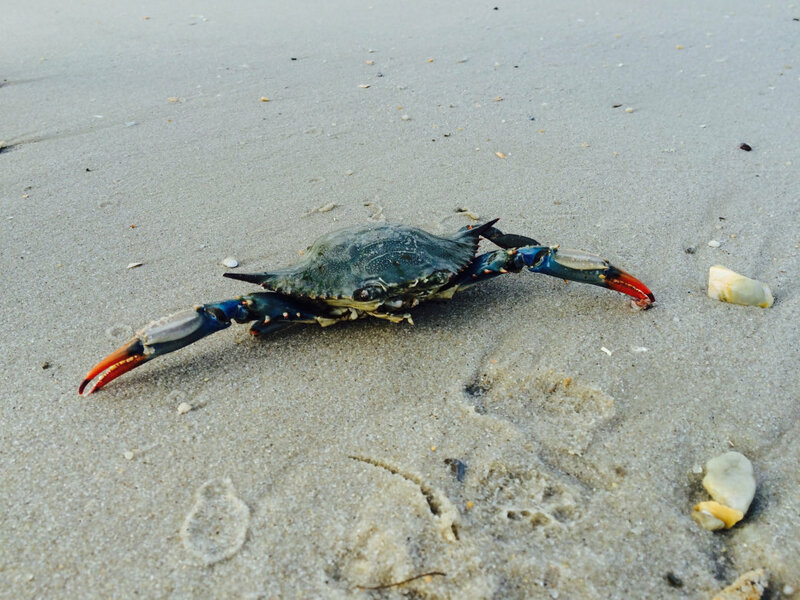 Take to the sheltered water of the wildlife management area’s tidal creek, or tackle the more formidable six-mile loop around water-logged Mills Island in the Chincoteague Bay. For a more leisurely afternoon outing, the Porter's Crossing to Snow Hill Canoe Trail is 5.5 miles of easy paddling along the Pocomoke River. This is a great one for the summer, because the cypress trees provide a dense canopy. Keep an eye out for turtles, heron, and egrets. Liquid Assets in Ocean City is an elegant bistro featuring a menu loaded with gourmet small bites, like baked oysters and smoked fish, and has an extensive wine and cheese list. For exceedingly fresh fare, The Shark on the Harbor prepares organic, locally-sourced ingredients, with a menu that changes daily. With golf courses, horseback riding, fishing, and even more trails, this one weekend has just scratched the surface of what the Maryland Coast has to offer. You could spend a lifetime exploring this Mid-Atlantic state, so start planning your next trip now! Originally written for Worcester County.